Nothing much new to report here after Monday’s excitement. We saw a pod of about six pilot whales yesterday. They followed us for about twenty minutes, breaching and slapping their tails on the water. One spent a couple of minutes right under the transom, where we could get a very close look at the true size of him. After their visit, they continued on their way, visible in the distance for quite some time. The passage so far has been grey, squally, and lately marked by headwinds. We have just under 500 miles to go. We are hoping to get farther south to pick up a favorable current, as right now we are definitely fighting a foul one. USS Apache at dusk, with the small fishing boat just barely visible as a dark smudge forward of, and to the right of the ship. Today at 0700 I spotted an open fishing boat with three men aboard about a half mile off our port bow. They soon began motoring towards us, and the usual thoughts went through my head–maybe they had something to trade, or they wanted cigarettes or fuel. Soon, though, they began waving clothing on an oar. Hmm… We were just over a hundred miles off the Columbian coast, so I began to wonder if they had any bad intentions. They were close enough at that point that I could see that they didn’t have any fishing gear in the boat. Maybe they were waving us away from a net they had out. I started the engine and roused the off-watch. We go a few more bodies on deck, and the boat was soon alongside, where they stayed, asking for water and food and waving their almost-empty fuel can. At this point, I put out the first of many VHF calls trying to alert others in our area of our situation. The men in the boat said that they had been blown off of the coast 4 days prior and had no water or other supplies besides what was left of a the very ripe stalk of bananas that I could see in the front of their open boat. Their 70 hp outboard was now running on fumes. I passed up 3 gallons of water while Idoia passed them a dock line as a tow rope because they were shaking their empty gas can. We wanted to keep them at a little distance while we considered their situation and tried to raise help from passing ships, because at this point nobody had answered our calls, so we were feeling a bit alone out there. We tried getting a radio relay to the coast guard from a couple of ships, but did not receive any confirmation though we managed to raise a reply from one ship. Luckily, we were able to message friends through our Iridium GO, and through the help of Jackie Mahan in the U.S. and Juan in Spain we were able to get through to the U.S. and Panamanian coast guards. We passed some food to the fishermen and settled in to wait. After a few hours of standing by with the boat in tow, we received word that a U.S. ship was on its way from Panama, as we were too far offshore for any of the Panamanian boats to render assistance. By this time, a squall had set down on us with heavy rain, wind, and lighting, so we took the fishermen aboard Starlight, as by this time it was apparent that they really were in distress, and also help was on the way in the form of the U.S.S. Apache. We had been slowly reaching along, trying to stay more or less in the same area where we had first picked up the fishing boat, but the Apache was coming out of Balboa, so we changed course to head back to Panama to help close the distance between us and the responding ship. The wind and current were coming from their direction, which made for slow going. It was almost dark when the Apache finally hove within sight. We put the fishermen back in their boat, gave them our contact information and a letter of introduction, and cast them off. The Apache quickly maneuvered into position and soon had the three men aboard. A short while later, their boat was hoisted on deck as well. I know that there are three very grateful men aboard the Apache tonight. I hope that we hear of their safe return home. 12 hours after first taking the fishermen alongside, we resumed our course towards Galapagos and are currently making good miles again. Our thanks to everyone involved in the rescue of those fishermen today! 0615 Local time- Sailing SSW at about 3.5 knots on a fickle breeze. Last night brought plenty of windless squalls. At least we had very good sailing the entire first day out. We are now about 200 miles from Panama City. The passage from Panama to the Galapagos is normally a light and variable one at any time of year. We are hoping for the return of a good sailing breeze, but at least we are moving. We are just getting ready to get underway for the Galapagos Islands. First, we will stop and fill our water tanks, but that is our last chore before heading to sea. The trip will cover about 960 miles and probably take 6-10 days, depending on the wind. Check the “Current Position” page for a map showing where we are, updated every hour. 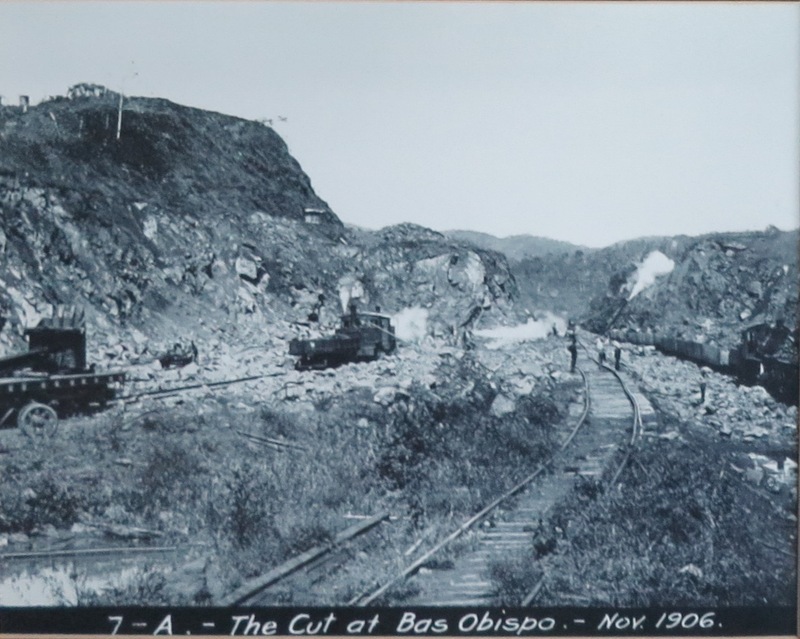 1805 (6:05 PM)- We are only a short distance from the Miraflores locks. If you check the Miraflores webcam in the next hour or so you might get a glimpse of two sailboats in the lock. We are ahead of a tanker with a red hull and will probably be tied alongside a tug. Starlight is the sailboat with dark blue canvas. Waiting for our pilot… We are currently sitting on a mooring near the Gatun locks. We transited the first three locks of the Panama Canal yesterday afternoon. All went very smoothly. We were rafted alongside a boat named Swan Song, whose crew we knew from our time in Shelter Bay. They had arrived at about the same time that we did after a rough passage along the coast of Venezuela, and are heading to the Whitsunday Islands in Australia. We will raft alongside them again this afternoon as we step down a couple of more locks to the Pacific Ocean. Our lock transit is scheduled for this afternoon, with an ending time of 1556, but our pilot was supposed to arrive at 0730 this morning, so I am already anticipating that we will be going through the locks later than planned. 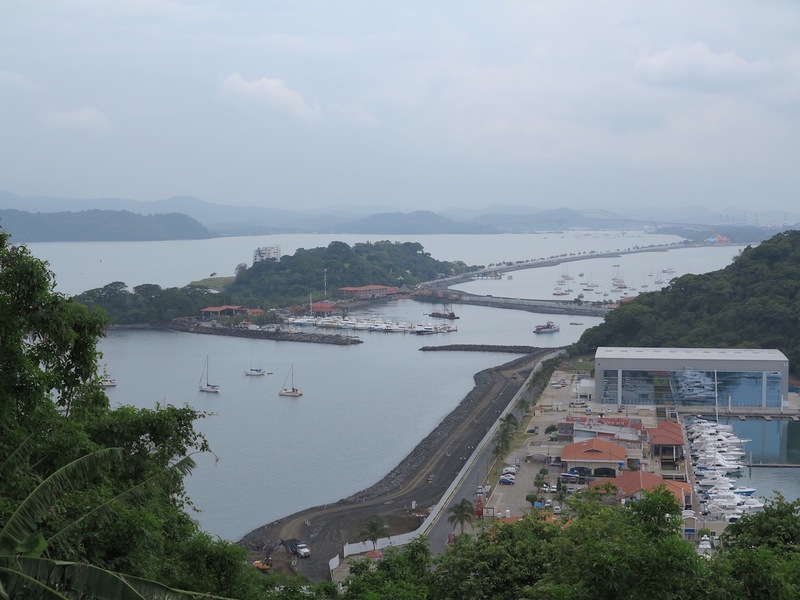 When we are in the Miraflores locks there is a webcam where we can be seen live. I don’t have the web address, but I am sure that a quick Google search would find it. I will try to update again when I know what time we are going through for sure. At least this is a nice place to have to wait. We are on a beautiful lake surrounded by tropical rainforest. The sun is out and the birds and ship traffic provide something interesting to watch. This Wednesday afternoon, if all goes according to plan, we will begin our transit of the historical Panama Canal and cross into the Pacific Ocean of the next leg of Starlight‘s journey to New Zealand. Once through the Canal, we will probably only spend a day or two before setting out for the Galapagos Islands. We need to leave quickly, not only because of how late in the season it is, but also because we need to arrive in Galapagos with the boat’s bottom as clean as possible. We will have the bottom professionally cleaned and certified before transiting the Canal, but if we tarry after we transit, new weeds and barnacles will begin to grow on the boat. The Galapagos is very strict about turning away boats that have any fouling (marine growth) on their bottoms, as this could possibly introduce new species to the islands–something that officials are trying to avoid. We have used this stop to install a new water maker, a larger alternator and “smart” regulator for the engine, new wiring on the boat’s main bilge pump, and several other small projects. Despite having more provisions aboard now than when we left Florida, the boat is also better organized and stowed, which should make life aboard a bit more pleasant. 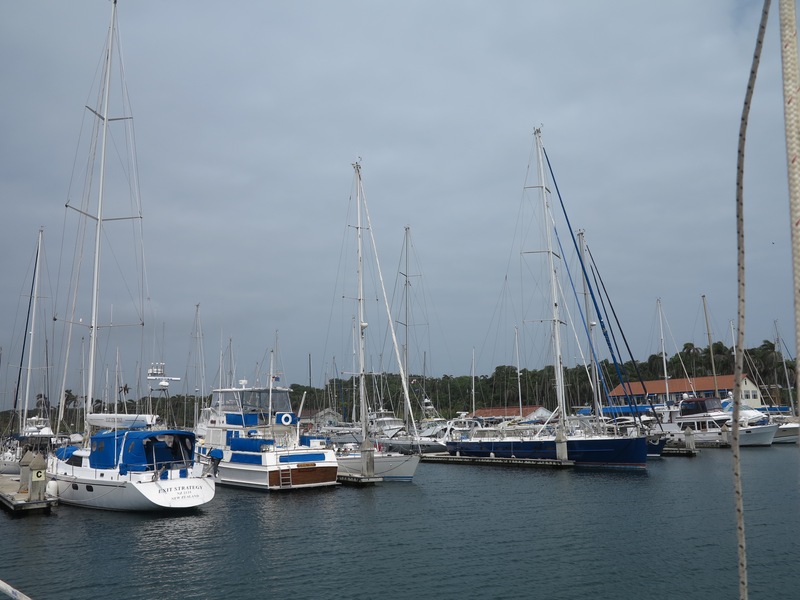 During our stay in Panama, we have been in the very pleasant Shelter Bay Marina. This has proven to be a very good place to base from while we coordinated our transit and worked a little on the boat. It is not close to town, but the marina runs a free shuttle on most days to drop boat owners and crew in a good shopping center where it is easy to find all of the provisions and most parts that might be needed aboard. Underway update from S/V Starlight– We are now about one hundred miles from our intended landfall at Shelter Bay Marina on the Caribbean side of the Panama Canal. We should be in sometime tomorrow morning. The trip across from the Bahamas has been as expected–mostly a beam reach across 20-25 knot trade winds. I thought the boat would be a little faster, but the autopilot struggled with the seas if boat speed was over 7 knots. This boat has very little directional stability, so the seas really slew it around a lot. The seas are smoother today, so the autopilot is having an easier time now. Looking forward to port and clean laundry.